Holiday Greetings, Card Aficionados, and welcome back to the Hampton Art Blog! 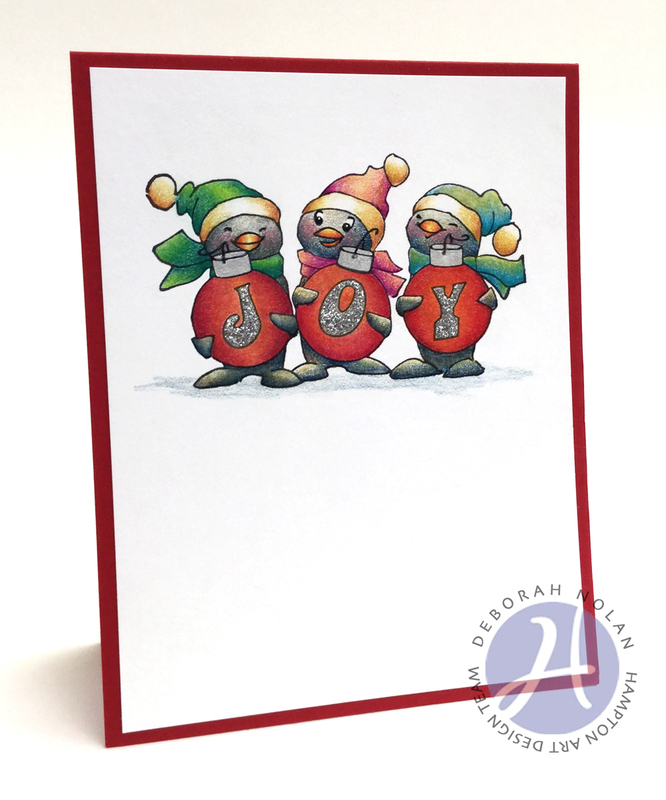 Today's card features the fun stamps from Art Impressions that are licensed through Hampton Art. Make card base for a 4.25” x 5.5” red card stock. Cut 4" x 4.25" white card stock panel. Stamp image on panel and color with pencils. Color ornament tops with pen. Adhere panel to card front. Apply Stickles to ornament letters.